James Ray Cottrell has been with the firm since 1977. As the senior attorney, he has experience in all aspects of family law and has tried every conceivable kind of domestic relations case in the trial and appellate courts of the Commonwealth of Virginia. A passionate and aggressive advocate, Mr. Cottrell has been featured several times in the Washingtonian Magazine and other periodicals as one of the top family lawyers in the Washington, D.C. Metropolitan Area. He has been listed in The Best Lawyers in America every year since 1989. He is a recipient of the Virginia State Bar Family Law Section’s Distinguished Service Award. As a holder of the Martindale-Hubbell Legal Directory “AV” rating, he is listed among its Preeminent Lawyers. He has also been selected for inclusion in Super Lawyers, Northern Virginia Magazine, and other peer ranked publications. Mr. Cottrell is a past Chairman of the Family Law Section Board of Governors of the Virginia State Bar and has been a member of the faculty of the Professionalism Course for newly admitted members of the Bar. He has also served on Boyd-Graves Committees which recommended statutory changes to the Virginia legislature. Mr. Cottrell is the co-author of Virginia Practice, Family Law: Theory, Practice and Forms, a treatise regularly utilized by law schools, judges, and family law practitioners in the Commonwealth of Virginia. Mr. Cottrell has a well-established reputation as an organized, articulate and skilled family lawyer and trial attorney. He lectures regularly on various family law subjects and is a frequent guest lecturer at law schools and professional groups. Mr. Cottrell’s practice focuses on the resolution, through both trial and mediation, of large net worth cases involving complex tracing, transmutation, business valuation and equitable distribution issues. Other challenging and interesting cases he has routinely conducted include international child custody issues and child abuse cases in tandem with custody proceedings. He has many reported appellate cases. Mr. Cottrell regularly conducts oral arguments before the Virginia Court of Appeals and has argued several cases before the Supreme Court of Virginia. Many past clients have returned to Mr. Cottrell for family-related and other legal needs. A detailed listing of Mr. Cottrell’s memberships and professional affiliations can be found here. 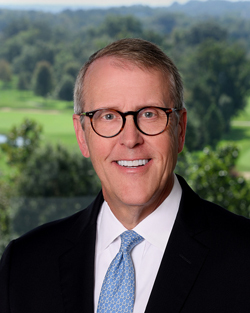 David H. Fletcher has been with the firm since 1984. He has over 35 years of practice in domestic relations law throughout the courts of Northern Virginia, particularly the counties of Arlington, Fairfax and Loudoun and the City of Alexandria. Mr. Fletcher has handled every kind of case in all areas of domestic relations, including property distribution, valuation, classification, contested fault grounds, support, custody and visitation. He is a highly respected and experienced trial attorney having been recognized by and listed in The Best Lawyers in America as a top practitioner in Family Law and achieved an “AV” rating by Martindale-Hubbell. He has acted as counsel in numerous appeals before the Virginia Court of Appeals. His judgment and advice is strengthened by his many years of experience in a variety of cases. As with all members of the firm, Mr. Fletcher works diligently for a successful outcome for each client based upon his thorough, well-reasoned analysis and dedication to each client’s individual needs. His efforts focus on efficient resolution through trial, negotiated settlements, or mediation. Mr. Fletcher is a 1981 graduate of Hampden-Sydney College with a B.A. in Economics. He earned his J.D. from the Washington & Lee University School of Law in 1984. A detailed listing of Mr. Fletcher’s memberships and professional affiliations can be found here. John Kelsey Cottrell has been a member of the firm since 2005. 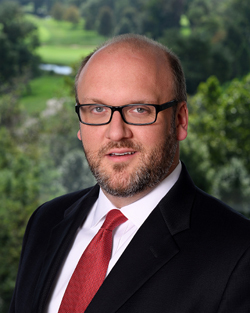 Mr. Cottrell has been involved in all aspects of family law litigation for over 13 years in the Northern Virginia courts, both as lead counsel and as assistant counsel, including divorce, equitable distribution of assets, spousal and child support determinations and child custody matters. He also routinely negotiates successful settlements to family law disputes. He has argued multiple times in the Court of Appeals of Virginia and has written numerous appellate briefs. He is recognized for his analytical approaches to different family law cases. 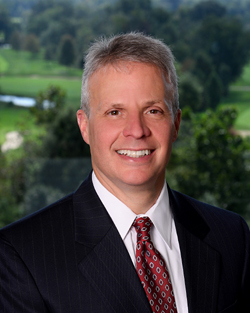 He has been “AV” rated by Martindale-Hubbell has been selected by his peers for inclusion in Best Lawyers in America. He is a member of the Family law sections of the Virginia State Bar and Fairfax Bar Associations. Mr. Cottrell received his B.A. in the liberal arts from St. John’s College (Annapolis) in 2002. Mr. Cottrell received his J.D. from the T.C. Williams School of Law at the University of Richmond in 2005. Amy Wells Spain became associated with Cottrell Fletcher & Cottrell in 2016. Prior to joining the firm, Ms Spain worked in state government affairs advocating and advancing legislative and policy initiatives and was twice honored as a Bryce Harlow Fellow. 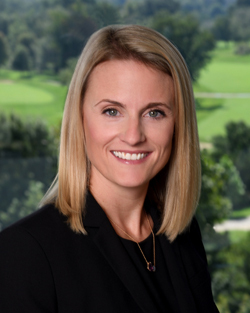 During law school, she worked as a legal intern at the Office of the Fairfax County Attorney as well as in chambers at the Fairfax Circuit Court. Here, she developed her understanding of family law, as well as her passion for using it to help families in need. Ms. Spain now utilizes her advocacy skills in her primary practice areas of domestic relations and trial and appellate litigation. She has extensive legal research and writing experience and has drafted trial and appellate briefs as well as negotiated settlement agreements. Ms. Spain received her B.A. in English and Communications with a focus on Professional Writing from Virginia Polytechnic Institute in 2008. She earned her J.D. from the George Mason University School of Law in 2015. She is a member of the Virginia State Bar and Fairfax Bar Association.